On 31 July 2017, SST hosted the Principal of Camberwell Girls Grammar School. 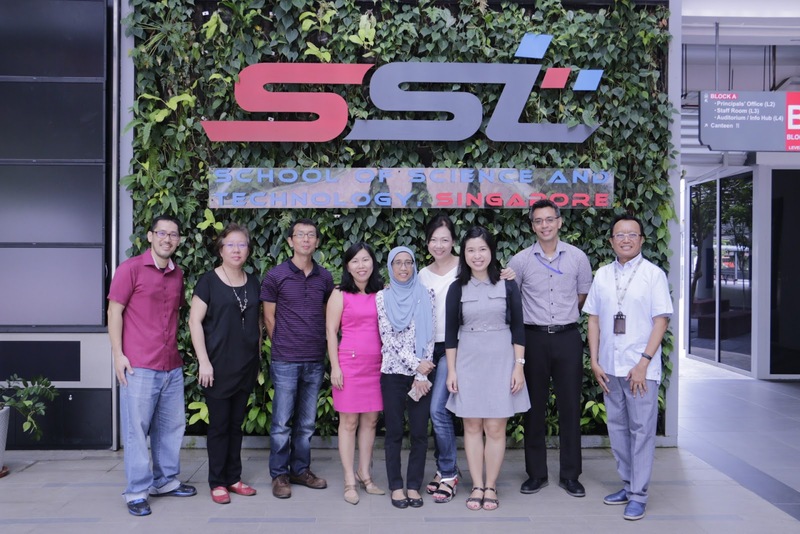 SST did an introduction on its vision, mission, values, goals, curriculum, and SST’s approach to applied learning. She was given a brief introduction of the school and brought on a tour of the facilities. This blog is created specially for you to serve as an alternative interaction platform where our conversation continues! We invite you to share with us your take-aways and feedback of visit. Please click at COMMENTS to share your thoughts. Thank you. This blog is created especially for you to serve as an alternative interaction platform where our conversation continues! We invite you to share with us your takeaways and feedback of visit. They were hosted by Mr Mohamad Irfan, HOD, ADMT. The visitors were given a short tour by VP Acad, Mrs Chew Wai Lee. And thereafter, Mr Irfan shared about the Maker Programme with our visitors. On 7 August 2017, SST hosted the Principal of Kohia Terrace School and her husband. They were given a brief introduction of the school and brought on a tour of the facilities. We have hosted many visitors from corporate organisations, government. agencies and schools in our sharing of the school’s best practices in Science, Technology, Engineering, Art and Mathematics (STEAM) education and applied learning.